After the late spring and wonderful summer we’ve all enjoyed in 2013, the summer is well and truly over when it comes to what we are eating. But the bounty of the year’s incredible harvest is now with us so it’s the month to rediscover the delights of colder weather eating with all the wonderful ingredients at our disposal. And where better to find the best food around than at your local Farmer’s Market? Fresh fruit and vegetables are still plentiful and very good quality – and winter varieties are even improved by a touch of frost. Onions, leeks, beetroot, carrots and tomatoes are all full of flavour at this time of year whilst the wonderful array of squashes and pumpkins offer so much more for the cook than merely lanterns for Halloween. Try them baked with cream and spices or in risottos and curries. Root vegetables such as parsnip, swede and celeriac are all wonderful roasted or mashed and perfect with new season’s game. Use them in soups, stews, bakes and pickles for rich seasonal colour and taste. Wild mushrooms are plentiful before the frost comes in so make the most of them now – they are perfect partners for seasonal game. Cobnuts, walnuts, hazelnuts and chestnuts are all ripening – try them now when they are ‘wet’ and discover a whole new intensity of flavour. Use in autumn salads or toasted with fruit compotes or meringues for impact. This year’s fruit season is one of the best seasons for decades so make sure you don’t miss out on all the best local apples and pears. The later ripening varieties are good for keeping so you will be able to enjoy from now until next summer. Make into pies, crumbles and cakes or try baked with spices and brown sugar. Who needs imported varieties when we have the best in the world here at home in the Garden of England? Much of our seafood is at its best caught from colder waters so as the sea temperature drops this month, fish just gets better and better. Sea bass, haddock and Dover sole will be fishing well whilst you can find some of the finest seafood caught off the coast of Kent and Sussex at the market. Scallops, prawns, crab, lobster and oysters make perfect autumn eating. Remember the better the quality of the fish, the simpler it needs to be cooked. Smoked fish, especially if done by your fishmonger to his own recipe, is great at this time of year – try smoked haddock in a creamy chowder or hot smoked salmon in a winter salad or the wonderful potato gratin recipe below from my Busy Mum’s Cookbook. October 1st sees the start of the pheasant-shooting season but early birds can be expensive so try partridge, grouse, wild duck and rabbit. All are excellent partnered with autumn greens and creamy mashed roots. Mother Nature really is very clever and ensures that the season’s finest ingredients all go so well together! 1 Preheat the oven to 200C /fan oven 180C/Gas Mark 6. Place the haddock in a pan, add the milk and the bay leaves and bring to the boil. Poach gently for 5 – 6 minutes until just cooked through – the flesh should just flake but not fall apart. Drain off the cooking liquid and reserve. Flake the fish, discarding the skin. 2 Layer up the sliced potatoes and flaked fish with the garlic and plenty of seasoning in a well-buttered 1.7litre (3pint) shallow ovenproof dish, ending with a neat layer of potatoes. Dot with butter and pour over the reserved cooking milk and cream. 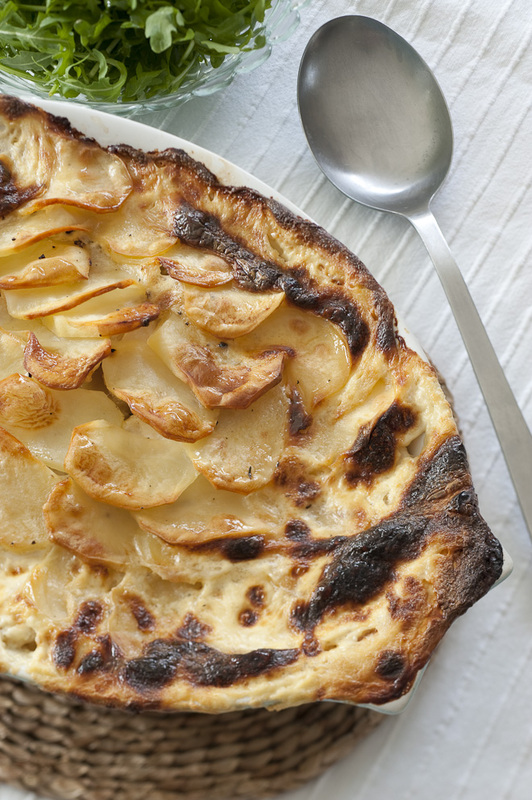 3 Bake in the oven for 50 – 60 minutes until the potato is tender and the top golden and crisp. Cover with foil if the top gets too brown. Serve with a green salad or frozen peas. 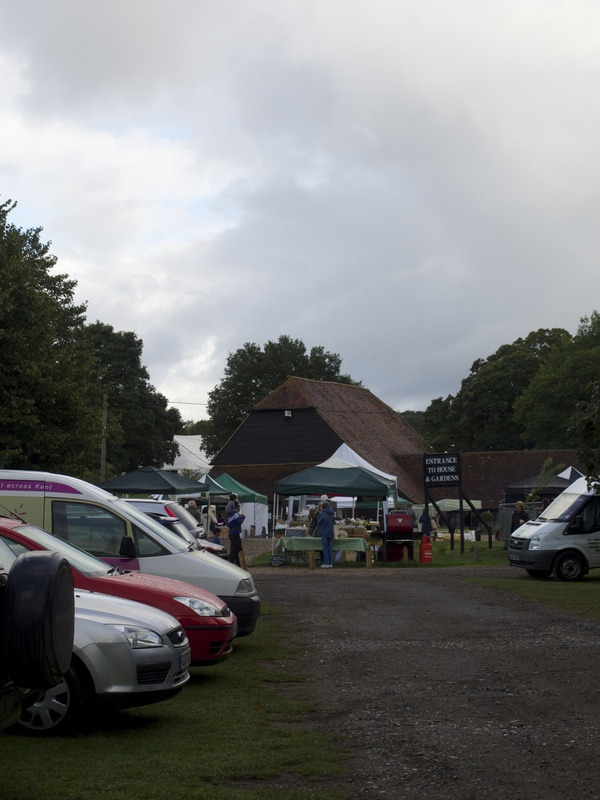 This entry was posted in Farmers Market, In season, Recipes and tagged Kent farmers markets, local food, Penshurst farmers market, Quick recipes, seasonal food, smoked haddock recipe. Bookmark the permalink.